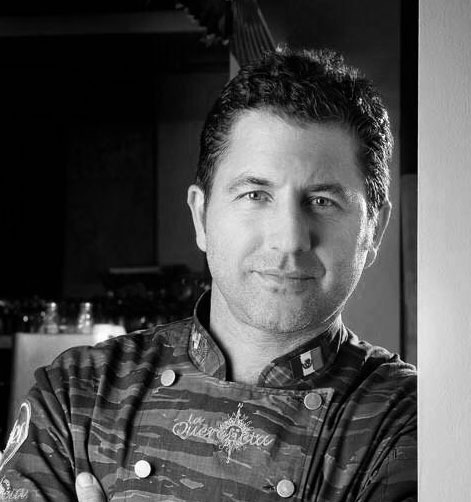 NEWS: Taste the Food of Two of Baja’s Best Here in San Diego Tonight! It is no longer any secret that some of the best food in our region is coming out of kitchens south of the border. By now most of foodie San Diego has heard of the new cuisine of Baja, sometimes called “BajaMed,” or seen some of its chefs on television or read about them in national publications. Still, many who would like to taste this new cuisine have yet to do so. It’s something about a pesky international border. Tonight — Tuesday, December 1 — presents an opportunity for them to do so. 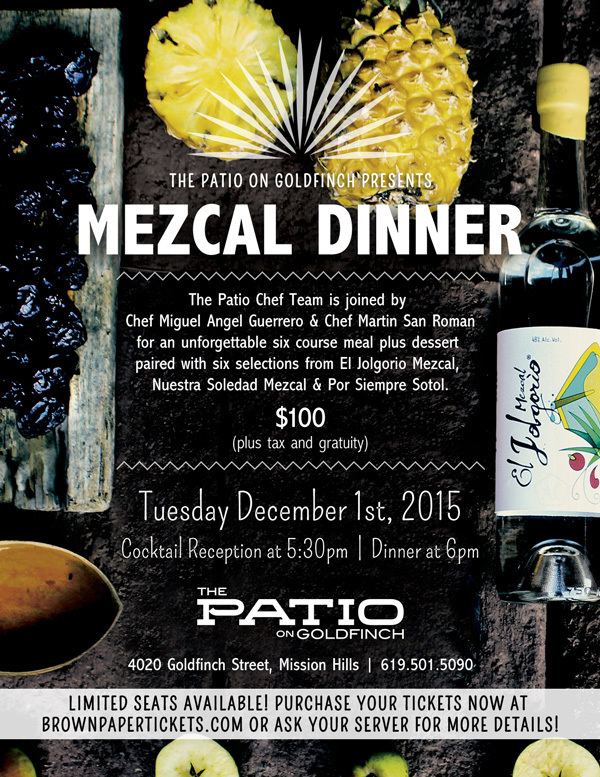 Two of Baja’s greatest chefs will be joining The Patio on Goldfinch’s John Medall for a Mezcal Dinner. 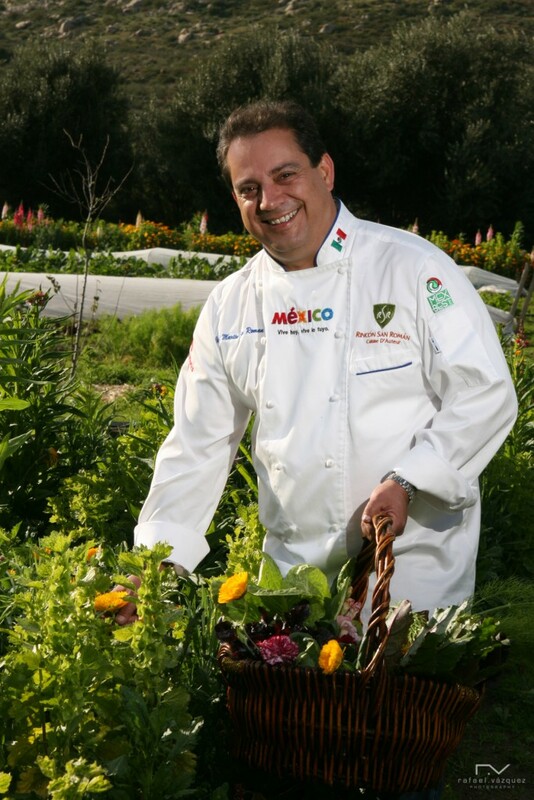 Miguel Angel Guerrero of Tijuana’s La Querencia, and Almazera and La Esperanza in the Valle de Guadalupe will be trading courses with Medall and with former Mexican TV Chef Martin San Roman of La Terrasse San Román in the Valle de Guadalupe, La Rotisserie San Román in Tijuana and Dobson’s Bar & Restaurant here in San Diego. Six courses plus dessert will be paired with six agave-based spirits from El Jolgorio Mezcal, Nuestra Soledad Mezcal and Por Siempre Sotol. Tickets for the event — which begins at 5:30 p.m. — can be obtained at: http://www.thepatioongoldfinch.com/happenings/tequila-dinner-series/.